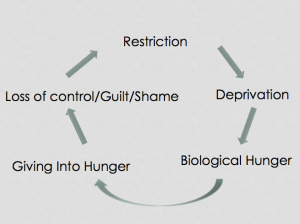 Break the Cycle: Heal Your Relationship with Food and Your Body! "I feel better about my eating habits. I learned that my body is telling me what it needs! Big Aha moment! I learned a lot, not just about food, but about myself. Thank you for providing safe space. I enjoyed the entire program!" Did you know that how you feed yourself has likely been heavily influenced by how you were taught to eat in your early years? 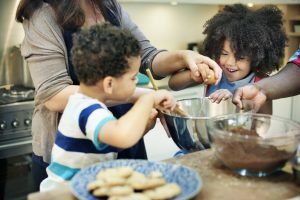 More often than not, when I work with clients, we find through our work together things in childhood interfered with their learning to be an intuitive eater. However, time and time again my clients have blamed themselves which turns into a life long cycle of disordered eating. It typically goes something like this: I hate my body. I'm going to change my eating, exercise more, etc... Feel motivated for a short time. Give into temptations. Have lots of guilt and shame. Binge/Quit. Repeat. It's like a hamster wheel you can't get off of! Does this sound familiar? The good news is, it doesn't' have to be this way. If you are struggling with your relationship with food you CAN become an intuitive eater as an adult. It starts with understanding your relationship with food so you can learn self compassion and positive self talk. A mentor of mine once said to me, "By breaking the cycle and doing things differently you have the ability to heal 7 generations before and 7 generations after." Can you imagine, just by working on your own relationship with food you can heal future generations as well as yourself. 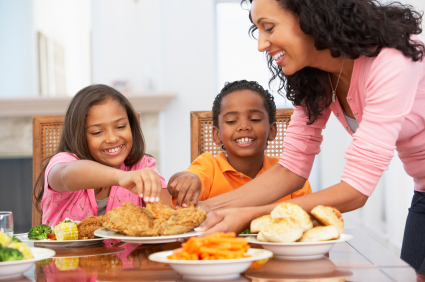 This is what makes this community so unique - together we'll help heal your relationship with food and your body so you can help your children to have a great relationship with theirs. I will support you in working towards food and body peace, but I'll also help support you in raising your own intuitive eaters. 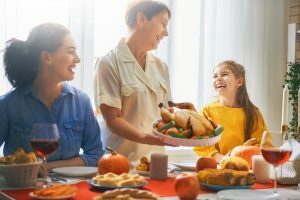 Clients have always felt like they were on an island by themselves, thinking no other parent was struggling with their relationship with food. It's simply not true. That's why I've created this opportunity. You'll have group coaching with me, but the added bonus of a community of like minded parents who can empathize and know exactly what you are going through. Community is so important. Plus, Each Participant Will Have Unique Breakthroughs Specifically to Your Issues Around Food! *Daily reflections based on the topic and corresponding Intuitive Eating Chapter to keep you thinking and working on your issues around food between the sessions. BONUS: Live Training with Yoga Therapist and Body Image Expert Beth Knudson. She'll help you learn how to identify emotions in the body and how to navigate them. "I think one of the messages that has been really helpful for me is the thought of "normal" eating. 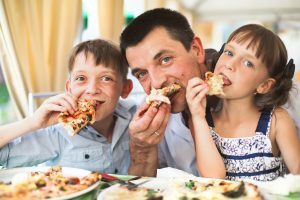 As I've tried to be better about not beating myself up for eating junky food, I realized that I'm also not getting as worried about my daughter. The other day, I found almond milk chocolate pudding in the store and bought it. When I told my daughter that I had found pudding that she could have, she was so excited. She had one and loved it. She asked for another one. Prior to this program, I would have said no. Instead,I thought to myself "If I was gettingt to have a food for the first itme, I'd want to have more too" so I gave it her. She enjoyed it and then that was it. She didn't ask for any the next day. It was just a fun moment that didn't end with a push and pull over food." "I feel better about my eating habits. I learned that my body is telling me what it needs! Big Aha moment! I learned a lot, not just about food, but about myself. Thank you for providing safe space. I enjoyed the entire workshop!" "I was able to see just how my issues with food started in my early years. Through working with Dana, I was finally able to stop feeling guilt with eating foods I thought I shouldn't be eating. Because I didn't feel guilt anymore, I actually realized I was eating food that I didn't actually like. I was eating these foods for emotional reasons and because I was totally disconnected from my body. It just dawned on me the other day, I haven't binged on food in a long time." Yes, I'm in. I AM ready to heal my relationship with food and my body!